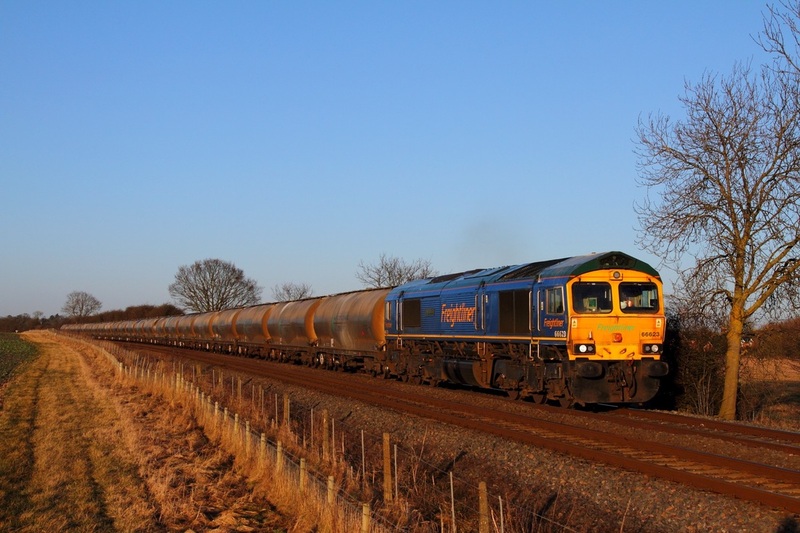 Freightliner's former Bardon aggregates liveried 66623 hauls the 6L89 1149 Tunstead to West Thurrock at Langham junction near Oakham on the 30th January 2015. The Bardon aggregates contract is now in the hands of GBRf, hence the re-branding of 66623, into power-haul style Freightliner branding. 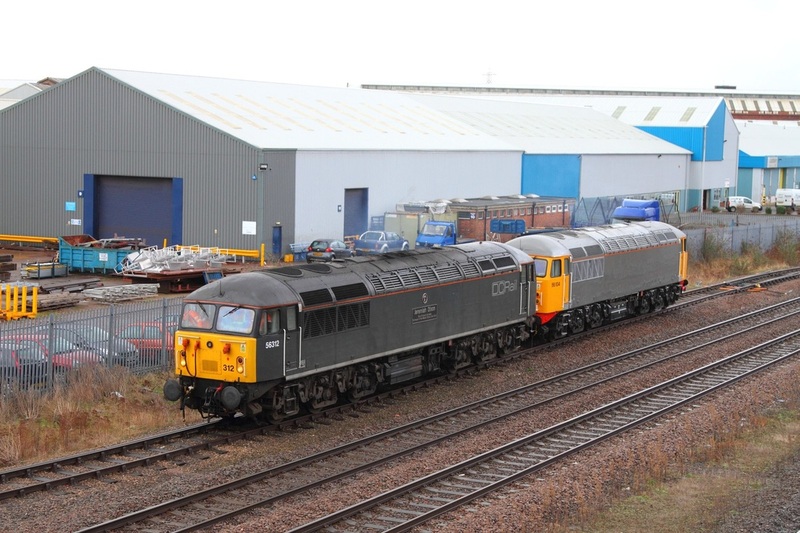 Above: DC rail 56312 hauled UK rail leasing company's grey liveried (with yellow cab ends and red buffer beams) 56104 from Leicester Depot to Loughborough, Brush Works on the 29th January 2015, for further attention and commissioning work before it can be transferred to Freightliner to join classmate 56081 as a super-shunter at Crewe Basford Hall yard. The train is captured arriving at Loughborough in the East Midlands. 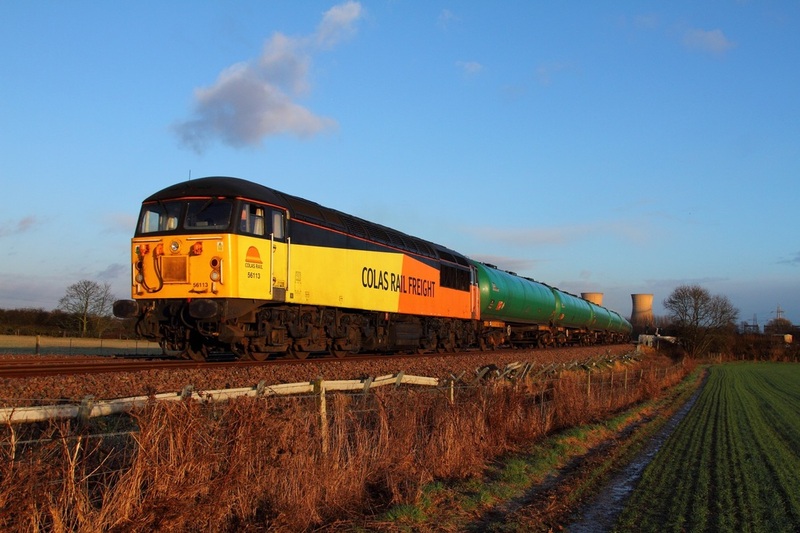 Right: Colas Rail liveried 56113 hauls the 6S96 Sinfin to Grangemouth tanks at Willington on the Uttoxeter line on the 29th January 2015. 56113 had swapped with 56105 after the latter had worked the inward 6M65. 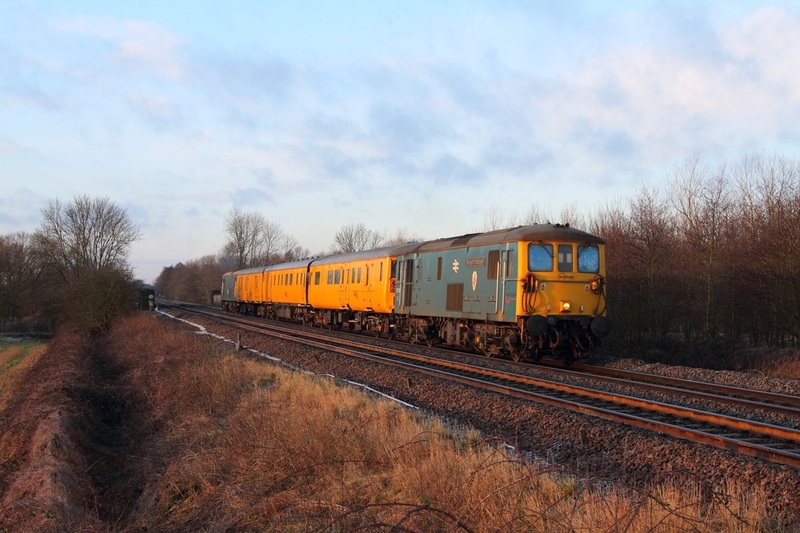 Direct Rail Services 37602 leads 37259 on the 3Z03 Derby RTC to Hither Green network rail test train at Kilby bridge south of Wigston, Leicester on the Midland Main line on the 22nd January 2014. Network Rail's recent vegetation cut-back has opened up some more photographic opportunities around Kilby bridge. 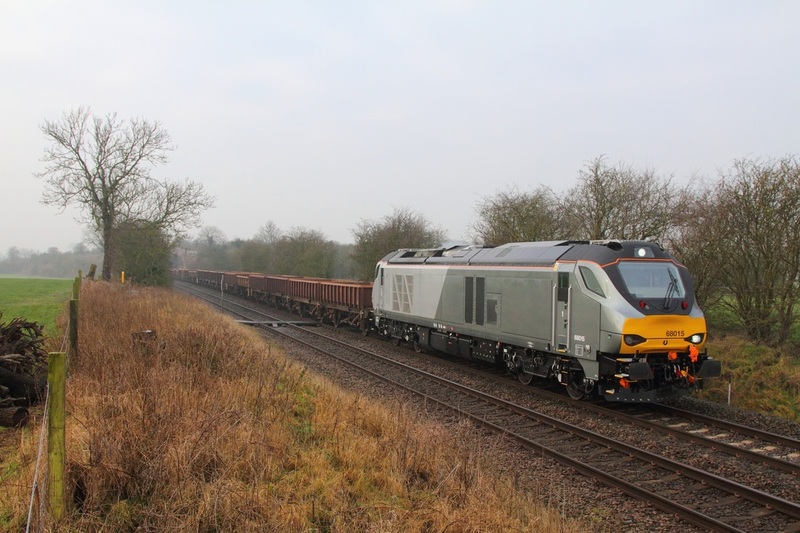 Chiltern Railway's 68015 hauls the 6U76 Crewe Basford Hall to Mountsorrel empty ballast wagons at Narborough on the 22nd January 2015. 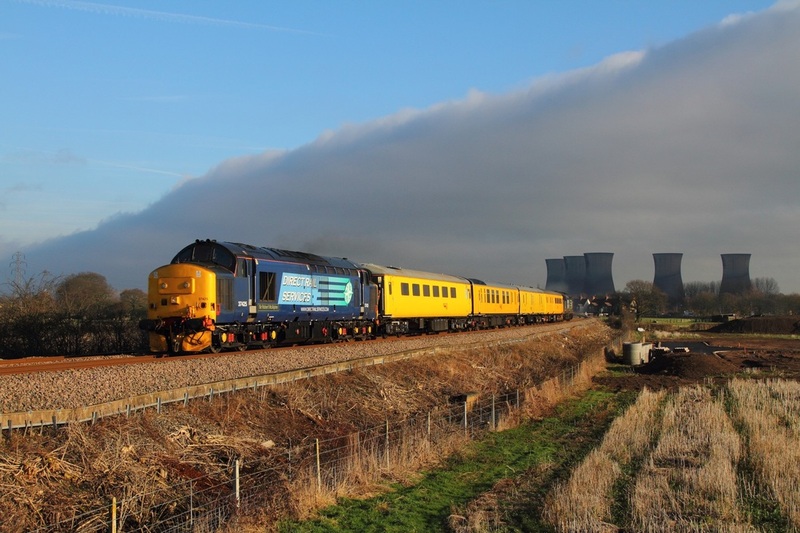 Br Blue 73119 leads 73201 on the 3Q01 Derby RTC to Derby RTC test train at Findern on the 17th January 2015. 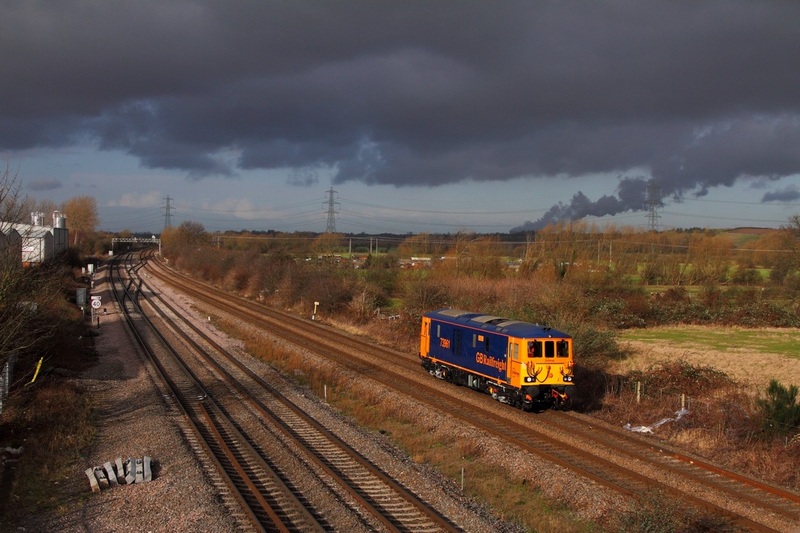 GBRf 73961 works the 0Z73 0920 Loughborough Brush to Loughborough Brush works via Leicester and Derby is captured arriving back at Loughborough after completely its test run on the 16th January 2015. 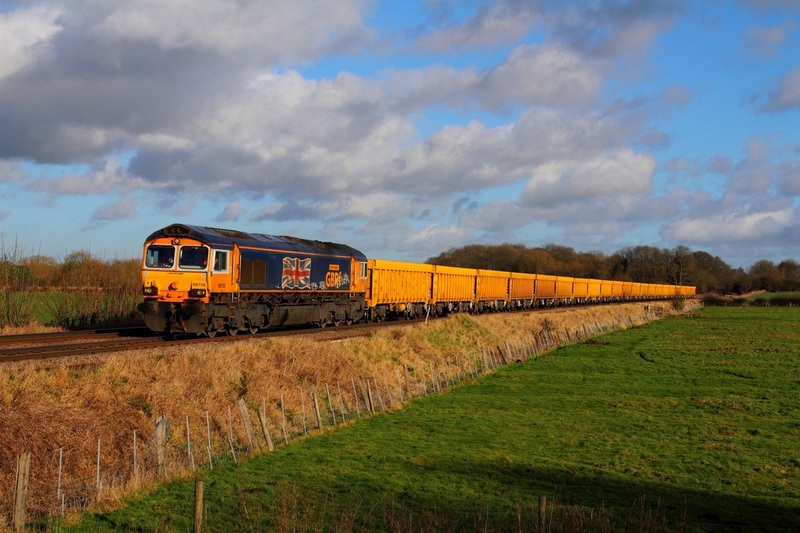 Great Britain Railfreight's 66705 still sporting the Union Jack flag, hauls the 6M60 Whitemoor to Mountsorrel at Rearsby on the 15th January 2015. 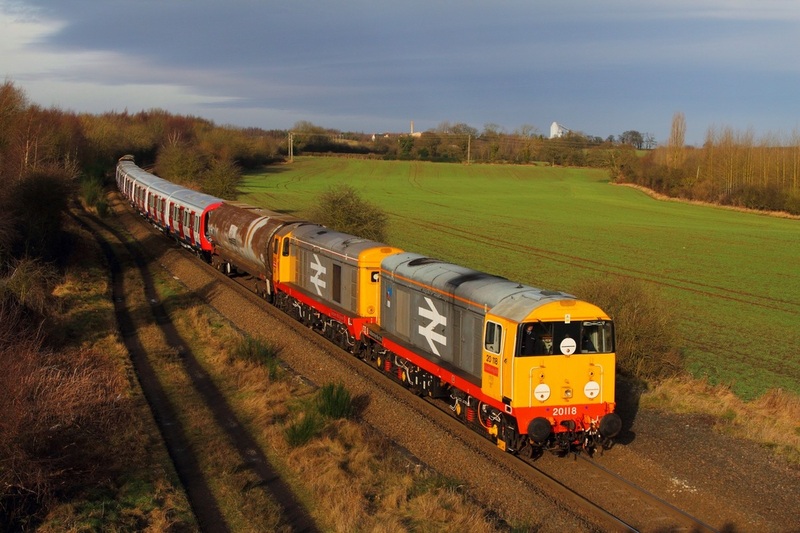 Railfreight liveried 20118 leads 20132 with Br Blue 20096 and 20107 on the rear of 7X23 Derby Litchurch Lane to Old Dalby at Bagworth on the 9th January 2015. 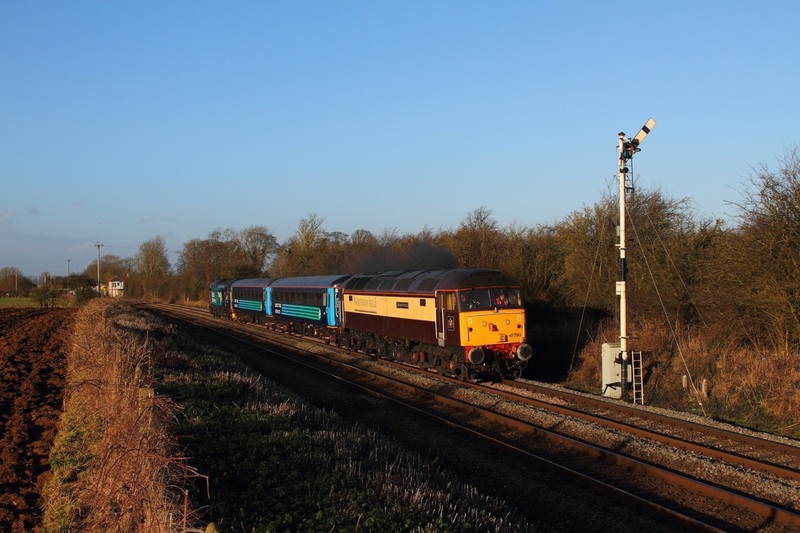 Northern Belle liveried 47790 leads 5919 and 5971 with DRS new liveried 37218 on the 5Z68 Crewe to Norwich Crown Point at Ashwell east of Melton Mowbray on the 8th January 2015. 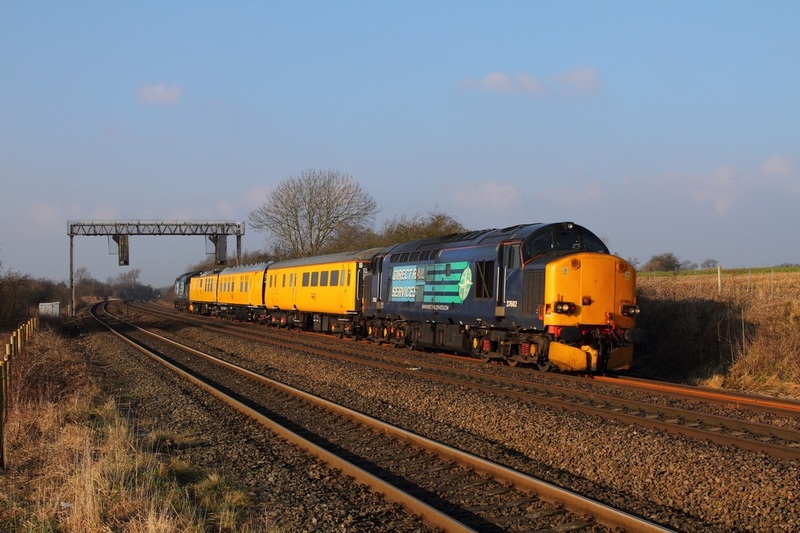 37425, 9523, 6264, 999605, 977983, 37409 on the 3Z05 1230 Derby to Crewe at Willington on the Uttoxeter branch on the 5th January 2015.